My husband and I are not big drinkers. 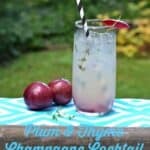 In the summertime we do enjoy a flute of champagne or a fun drink on a hot summer night. I usually end up using fresh fruits to make something refreshing. I’ve been on a bit of a plum kick since I’ve been getting them so cheap at the farmer’s market. 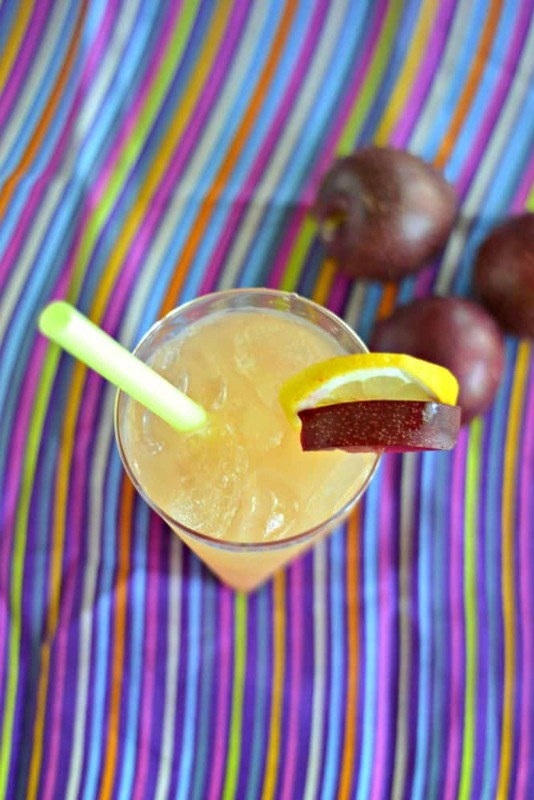 I recently made a tasty Plum Ginger syrup with fresh ginger and fresh plums in a simple syrup. It’s a gorgeous jeweled purple color and packs a lot of flavor. 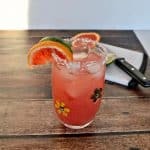 I’ve been using it to flavor my iced tea and lemonade but I thought it would be great in a cocktail as well. 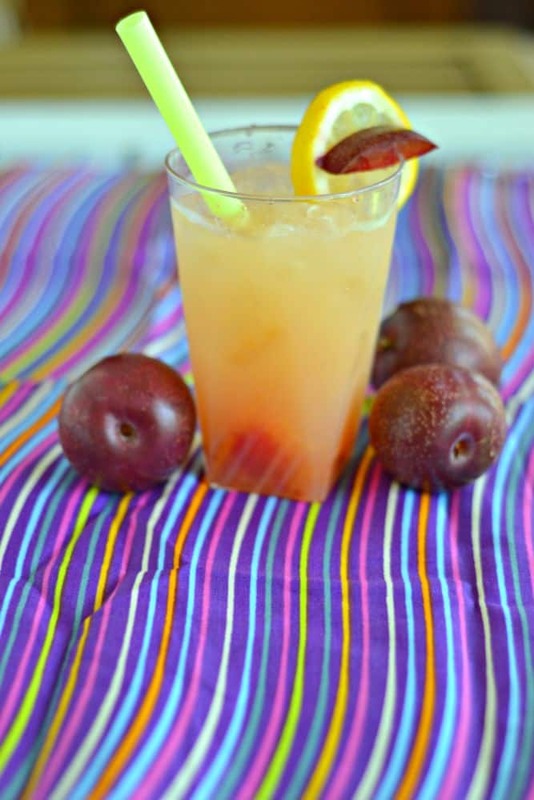 I used the plum ginger syrup to make a plum ginger whiskey sour. All I added was a little bourbon, a little lemon juice, and a little orange juice to the plum ginger syrup then I poured it over ice and garnished it with a plum slice. It was sweet, tart, and very refreshing. As I sipped at it the ice began melting and mellowed the flavor slightly. 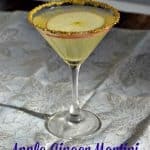 This is a great summer cocktail for drinking out on the veranda. 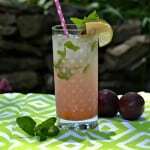 A refreshing cocktail that is sweet and tart with fresh plum ginger syrup. To make the Plum Ginger Syrup, Combine all ingredients in a medium saucepan. Bring to a boil and simmer for 5 minutes. Remove from heat and steep for 30 minutes. Strain the mixture and place in a clear jar. Cover and store in the refrigerator for up to 1 week. 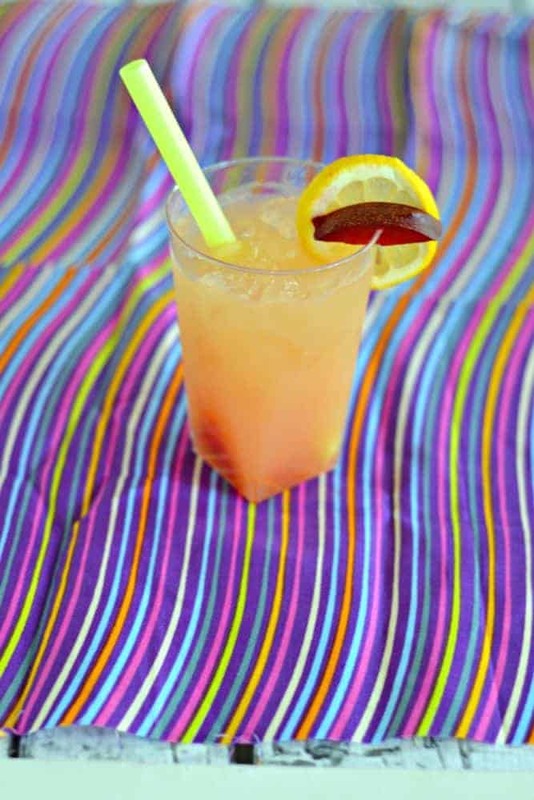 Combine the bourbon, plum ginger syrup, lemon juice, and orange juice in a shaker with ice. Strain over a rocks glass filled with ice. Garnish with a plum slice and a piece of candied ginger.